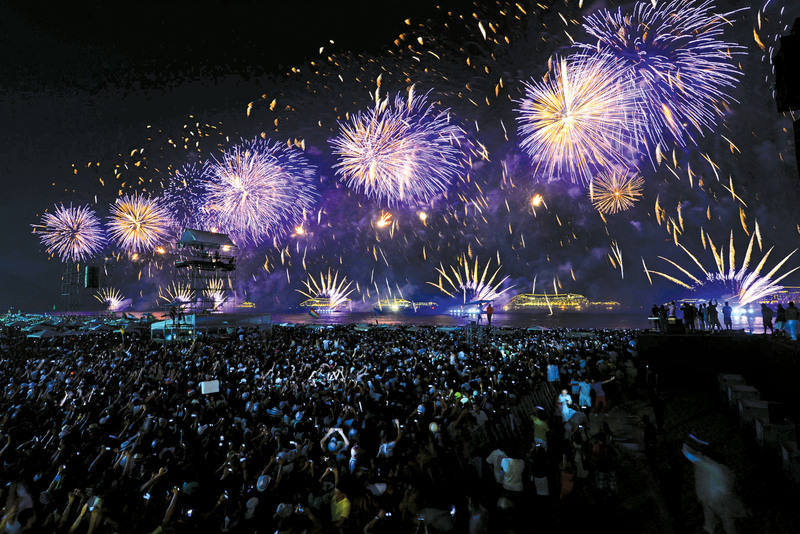 A major spectacular to rival carnival is seeing in the New Year on Rio’s Copacabana Beach. You will be one of around 3 million people on the beach, the vast majority dressed in white as they honour Iemanjá, the the Goddess of the Sea, and one of the most important of the macumba deities. Devotees start arriving on the beaches of Rio in their thousands early on December 31. By early afternoon Copacabana is a living sea of people and glowing candles as the macumba rituals are played out. 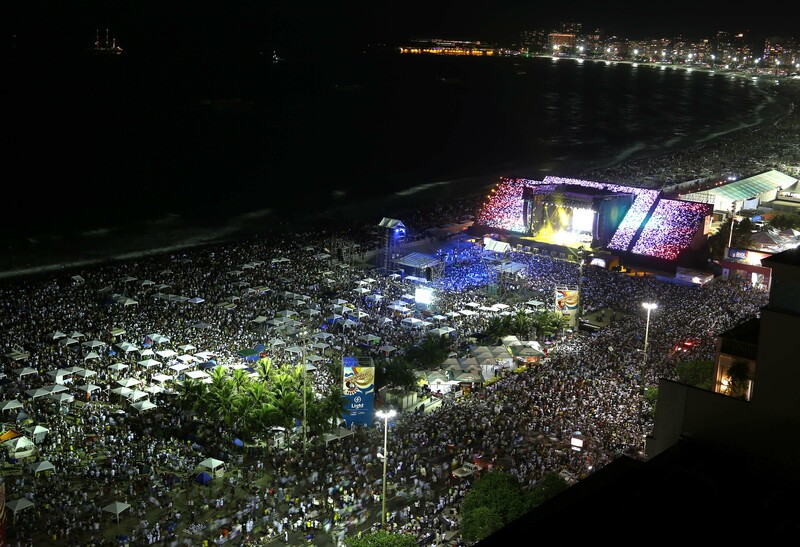 As the evening wears on, more and more people arrive to join in the celebrations on the beach, especially Copacabana, and by midnight nearly three million people will be present. The faithful offer gifts to Iemanjá at midnight, and at a few seconds to midnight they lay their offerings on the seashore and, if all goes to plan, the waves will pluck their offerings up and drag them into the depths. Midnight is usually signalled by a spectacular fireworks display the length and breadth of the beach. After midnight the city goes back to partying and the year’s first samba strikes up. 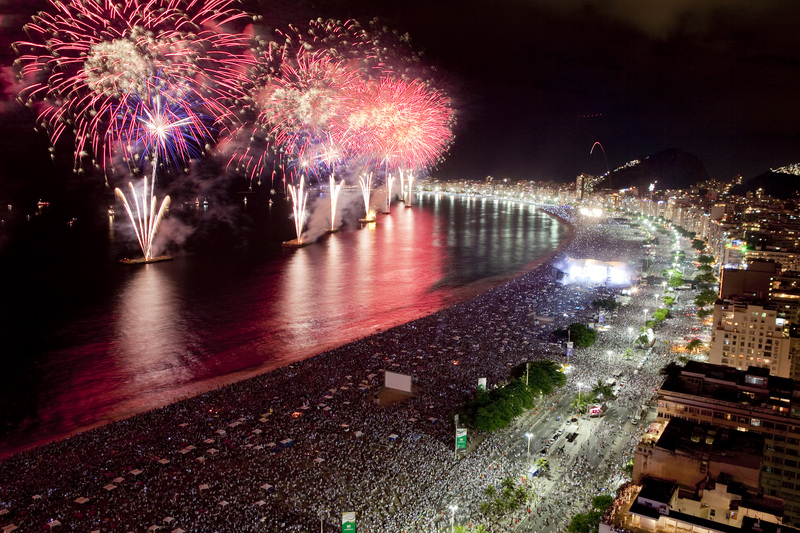 New Year parties are held in the road, in oceanfront apartments, in all the ocean front hotels, as well as on boats and cruise ships off Copacabana. By dawn many of the party goers will be back on the beach to see the sun rise before going home or on to one of the hotels or bars for breakfast. 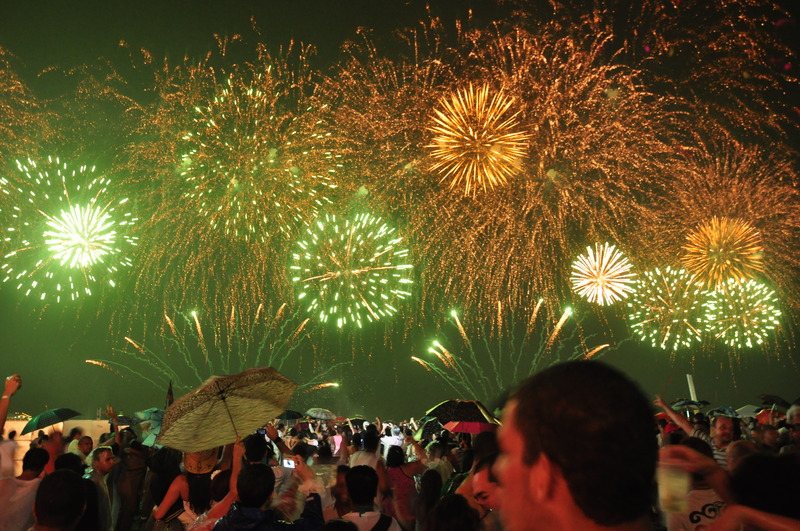 If you are in Rio for New Year’s Eve, known locally as Réveillon, you should spend a little time on Copacabana and watch this incredible ritual. Prior to midnight and after there are live shows along the beach to keep everyone in the party mood. Hotel beachfront rooms are, not surprisingly, at a premium at this time, but well worth the investment if this is a once in a lifetime experience. Many hotels operate a minimum stay policy over New Year. 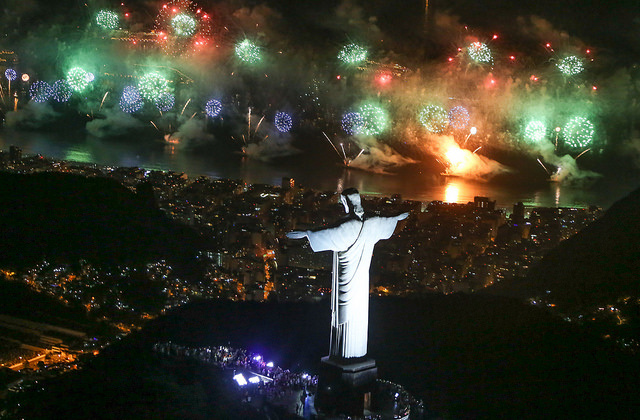 Other options are the boats that sit off the coast, but the celebrations have also spread to other beaches in Rio and the Lagoa. There is also a party up Sugar Loaf.